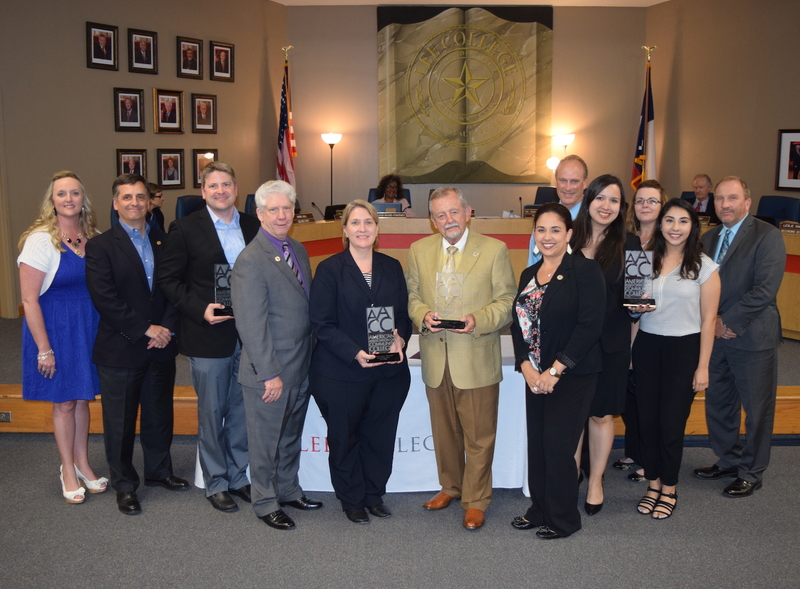 The Association of Community College Trustees has named Lee College its 2018 Equity Award recipient for the group’s Western Region. The college will be judged against winning colleges from other regions for recognition at the national level in October. One outstanding award recipient in each category will be announced during the Annual ACCT Awards Gala on Friday, Oct. 26, at the New York Marriott Marquis, in conjunction with the 49th Annual ACCT Leadership Congress. From left: Honors Coordinator Georgeann Ward with students Cilah Ndofor and Emily Blumentritt. Lee College has the distinction of having two of its honors students selected as semifinalists for the Jack Kent Cooke Scholarship. Cilah Ndofor from Cameroon, West Africa and Emily Blumentritt from Baytown, Texas are both currently enrolled in Lee College’s Honors Program. The Jack Kent Cooke Foundation has selected 534 high-achieving community college students from across the U.S. as semifinalists to compete for its Undergraduate Transfer Scholarship, from a pool of nearly 2,500 applicants. 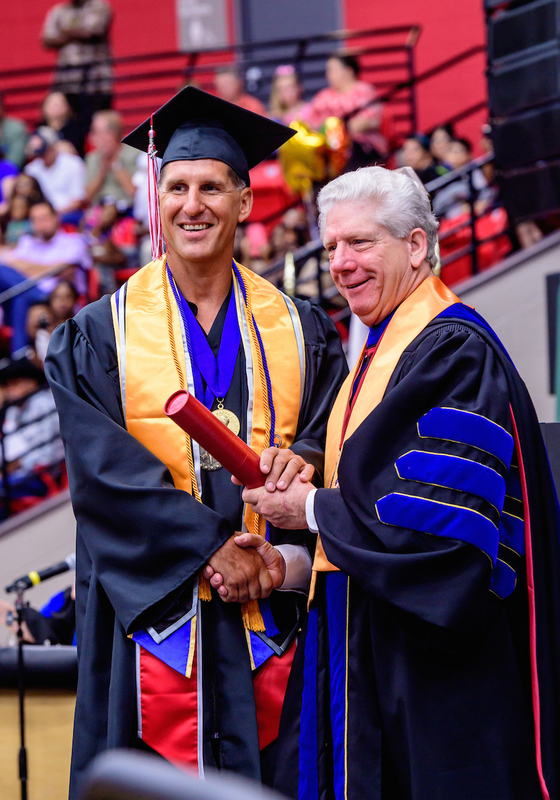 This highly competitive scholarship will offer selected finalists as much as $40,000 per year for up to three years to complete their bachelor’s degrees at selective four-year colleges and universities. Cilah Ndofor, a General Studies student tracked to transfer to a four-year institution as a pre-medicine major has her sights set on eventually becoming a neurosurgeon. Ndofor is currently pursuing applications to Harvard, the University of Texas at Austin, Rice University and the University of Houston – Main Campus. She plans on pursuing a major in Biology with a minor in Mathematics prior to applying to medical school. Emily Blumentritt, from Baytown, Texas is a General Studies major with plans to transfer into a Wildlife Biology or related program. As with Ndofor, Emily was surprised and excited to be chosen as a semifinalist. The honors program at Lee College has cultivated a national reputation for the rigor of its coursework and the high caliber student it produces. It’s impact on the lives of its honors students is evident. Cooke Scholarships fund the costs of attending college not covered by other financial aid, plus intensive academic advising, stipends for internships, study abroad opportunities, and the ability to network with other Cooke Scholars and alumni. After earning a bachelor’s degree, these Cooke Scholars will also be eligible to apply for a scholarship for graduate school worth up to a total of $75,000. 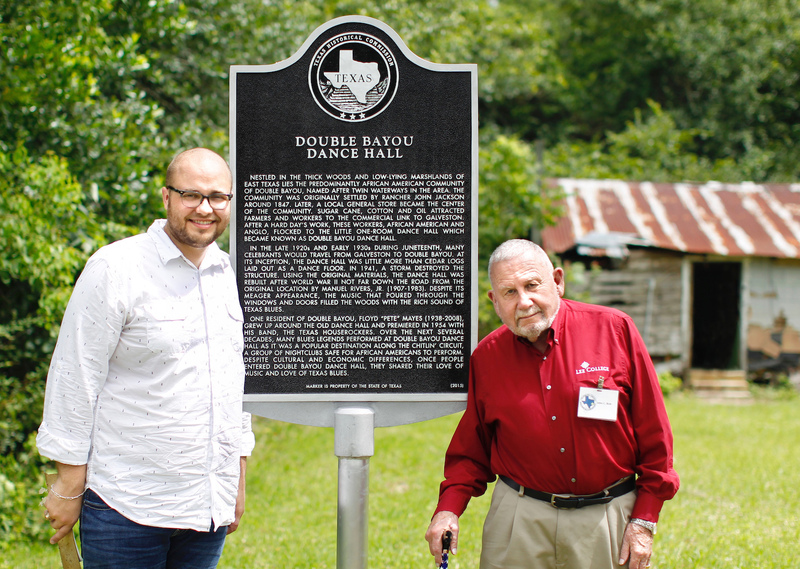 Lee College alumnus Caleb Moore (left) joins retired instructor John Britt at the Double Bayou Dance Hall on Saturday, June 24, 2017, to celebrate the dedication of the official Texas State Historical Marker recognizing the hall’s significance to surrounding communities. Moore completed a thesis for Britt’s American Studies course that focused on the dance hall and led to the marker being erected at the site in Chambers County. ANAHUAC, TX — Before he began researching the Double Bayou Dance Hall in Chambers County to complete his thesis for the American Studies course offered through the Lee College Honors Program, alumnus Caleb Moore had never heard of the little one-room gathering spot on the “Chitlin’ Circuit” where blues legends like T-Bone Walker and Big Joe Turner stopped to perform on their way to Houston. Now, many of the facts that Moore uncovered for his research paper grace a Texas Historical Marker recognizing the dance hall’s significance to the predominately African-American community of Double Bayou and those who flocked to it for generations, eager to end a hard day’s work by dancing to the rich sounds of Texas blues filling the rafters and spilling into the surrounding woods. Established in the late 1920s and constructed of wood, hog wire, and cedar logs under a tin roof, the original dance hall structure was destroyed by a storm in 1941 and rebuilt nearby just after World War II. 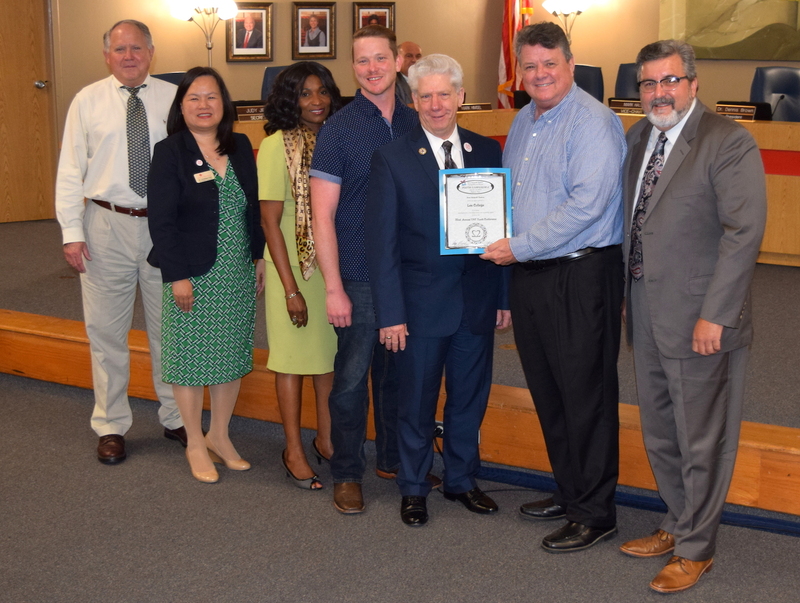 For Moore, an honored guest at the historical marker dedication ceremony hosted in late June by the Chambers County Historical Commission, it felt good knowing he played a role in ensuring the story of the Double Bayou Dance Hall will endure even if the building itself does not. The American Studies class combines American literature and history, using an interdisciplinary approach to help students examine American culture and gain an understanding of how literature reflects historical events. Retired instructor John Britt started the course and was team-teaching with faculty member Kathleen Sydnor when Moore settled on the Double Bayou Dance Hall as the focus of his final capstone project, which requires students to complete a research paper about an event of literary or historical significance. At the dedication ceremony, descendants of the dance hall’s owners and members of the community listened to live music and reminisced on good times over old photos, mementos and plates of barbecue. Moore was surprised to see his own aunt in one of the shots in the photo archive, reminding him of the lesson he learned while working on the thesis that ultimately brought the historical marker to Double Bayou.